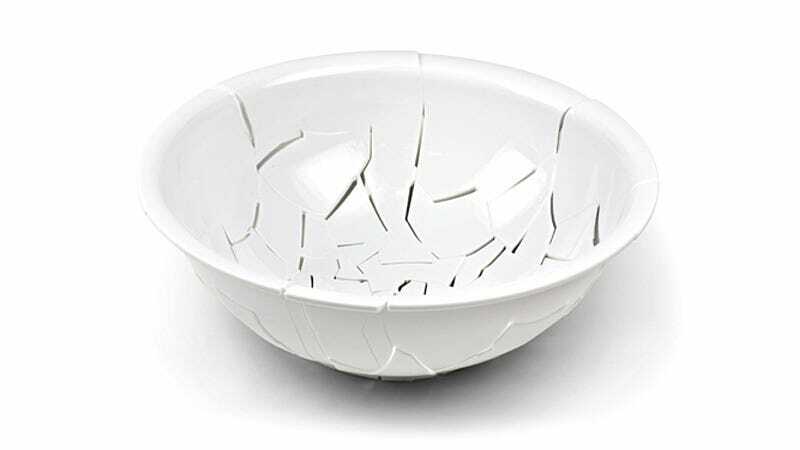 If you consider yourself a klutz in the kitchen and are prone to dropping and breaking things, you won't have to worry about damaging this adorable colander which looks like it's already been smashed and glued back together. The clever design still allows water to easily drain through while trapping washed fruits or boiled pasta. And since it's made from food-safe and dishwasher-friendly ABS plastic, it should still survive a drop from even the tallest of counters. The only niggle? A lack of a pair of handles to make holding the colander a little easier and safer while someone's dumping a pot of boiling water and pasta into it.